Correlata CorreAssess version 5.0 new release provides better and comprehensive UI, deep and wide analysis capabilities and new methods to deploy the solution faster while reducing time, risks, CapEx and OpEx. 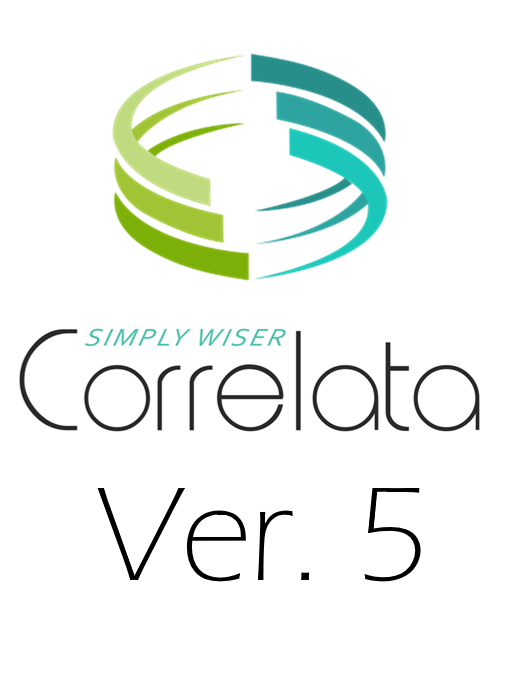 VIENNA, Austria - Feb. 28, 2017 - PRLog -- Correlata Solutions Ltd. announced the latest release of Correlata CorreAssess platform, the innovative of business IT collaboration software, during the 2017 kick-off meeting with Correlata European VAR, Softprom in Vienna. The new version 5.0 release offers new comprehensive capabilities such as easier deployment, UI enhancements and drill down and wider analysis capabilities. A major enhancement includes focus on business metrics such as IT business alignment, investment efficiency, service availability and data loss risks in context with applications and/or environments with the ability to emphasize the business impact along with the option to drag and drop directly into specific IT areas and highlight the specific IT objects involved. One of the new capabilities is exposing and visualizing the true IT Sizing and enabling chargeback of IT Infrastructure services to help companies to concentrate on their business objectives. A new application is provided to facilitate the deployment of CorreAssess platform, using an intuitive UI to configure ALL the data sources of information, verify connectivity, control, automate and audit the whole deployment cycle. Based on customers' feedback, the company has added a new licensing option, letting customers transfer the share revenue findings into a multi-year service engagement, allowing customers to get Correlata benefits based on the revenue share during OTAs (One Time Assessments). Ofer Laksman, Correlata CEO, said, "The new release will empower management roles to be more involved and connected to the main IT challenges of their organizations. Correlata's new release is available to help customers transform Correlata findings into actionable tasks based on Correlata findings. "Correlata encourages customers to use professional services in order to find the best way to enhance IT stability and efficiency among various alternatives," added Ofer Laksman. "We now offer a unique proposition to our customers. We allow customers to build a strong and long-term relationship to embrace a full cycle of analysis and remediation over time," added Pablo Horenstein, Correlata Product Manager and VP Pre-Sale. Correlata is the pioneer of Business IT collaboration solutions, the most powerful platform for business IT leaders that will gain new insights into the daily well-being of their business IT operations and detect organizations' vulnerabilities in advance, before they will impact the business. Correlata provides a new business-centric IT management layer that transforms IT operations and service metrics into business metrics, helping companies gain the highest level of visibility and control on ALL their IT Infrastructure environments to senior management, ensuring companies use their Data Center infrastructure investments in coordination with their design intentions and business objectives. Check out the video on YouTube at https://www.youtube.com/watch?v=GeXCoLlbajM.